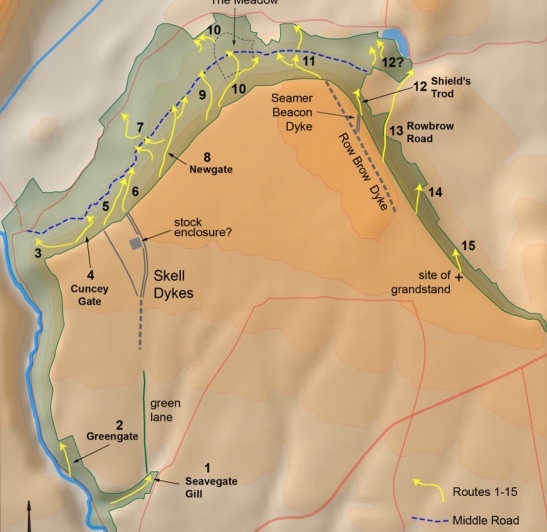 Yesterday evening 18th September at Woodend the Scarborough Archeology and Historical Society presented the findings of their meticulous exploration of the steep slopes and valleys of Raincliffe, Row Brow and Forge Valley woods. 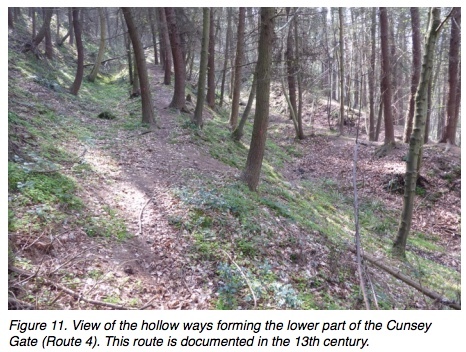 The Bronze & Iron Age features of Irton Moor area with Tumuli and Barrows were explained with new evidence that the earth structures may have continued further down the steep slopes. 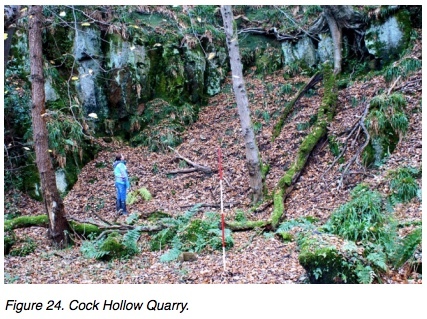 Also explanations about the deep tracks which cross the steep slope at an angle. These may be the result of hundreds if not thousands of years of moving grazing animals from the upper enclosures down to the valley pastures by Mowthorp. One particular feature Cunsey Gate has records possibly back to 13th Century where there is reference to a Cuntosti as part of a route from Hackness to Seamer. For a full explanation see page 14 of the full report. Most know it now as a car park but now we know where it got its name from. Over 30 charcoal burning pits have been found and marked up which is invaluable for RWCE to ensure that these features are protected when felling and extraction work is being undertaken. Sample cores have been taken which show that both charcoal and lime were being processed to provide the raw material for the forge in Forge Valley. The Society have also started reviewing some of the mature trees and to mark their position in the woodland. This work helps to establish the history surrounding the management of the woodland and the ways it has been used by man over the centuries. 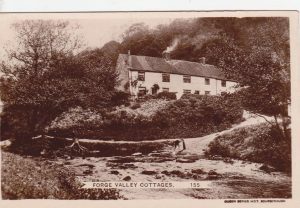 The evening finished with the forge in Forge Valley and the history surrounding its use. The Society are planning to try and undertake exploration of the area to understand its past and pr0vide a picture of the workings around the forge. 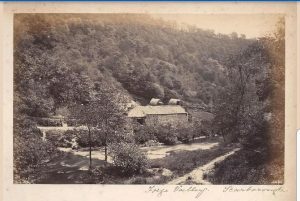 Several new images have recently appeared on social media which show the forge when it was inhabited and a working business. Everyone in attendance appreciated the work that had been undertaken and its enormous benefit for identifying the important features hidden amongst the trees and to aid protecting them. Proposals would now be taken forward to collaborate on further exploration and examination of the woodlands. The importance to the community of the work and the benefits of working together as a community was supported by all and strong working partnership would be built. Please Click Here if you would like to read the full report.